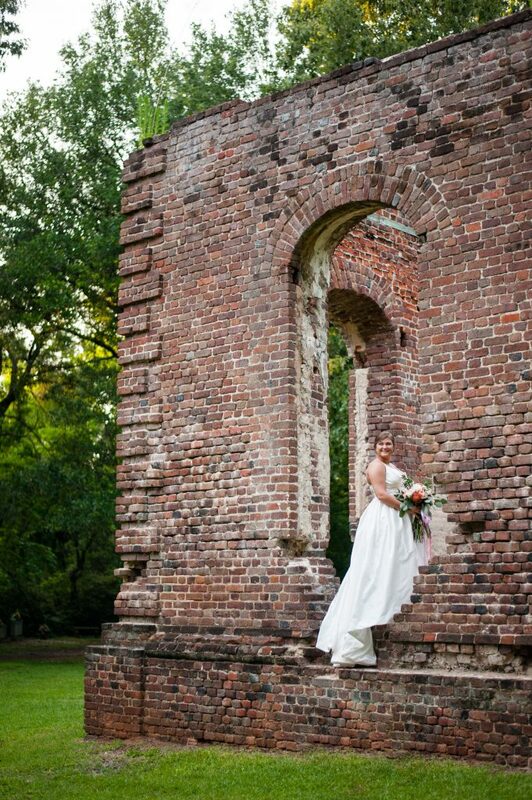 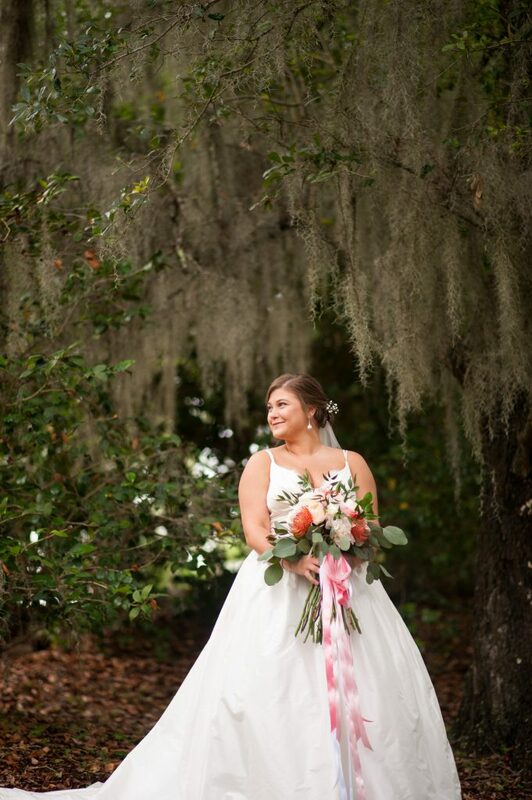 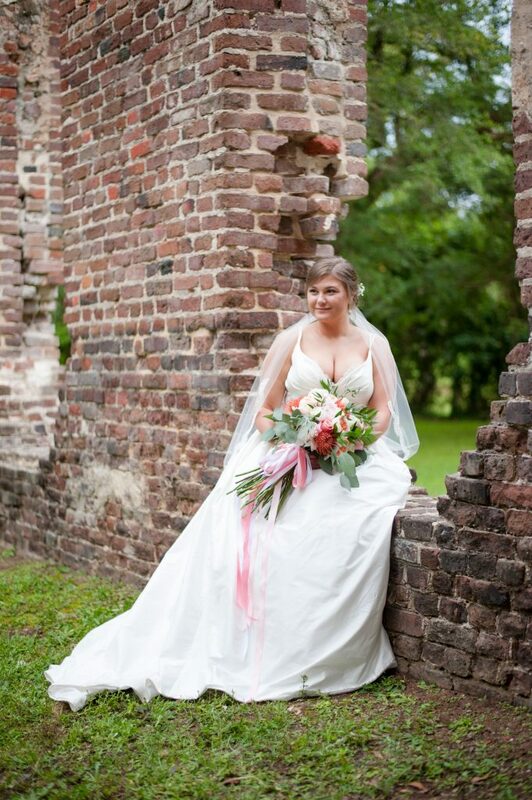 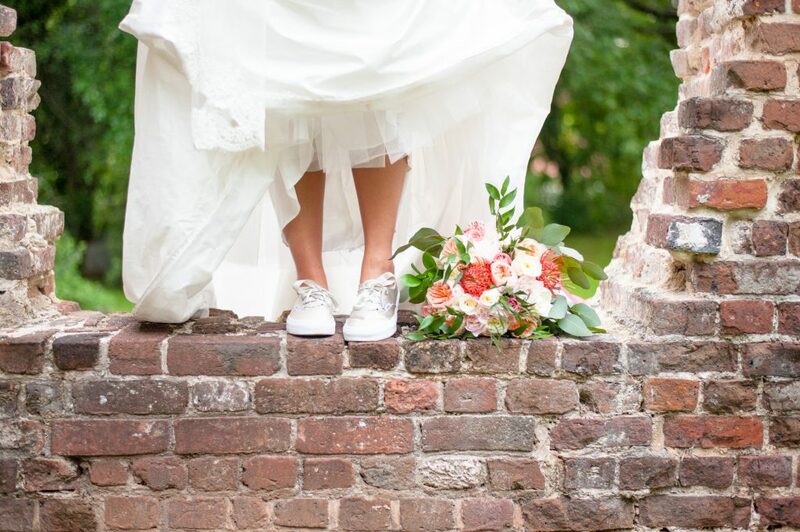 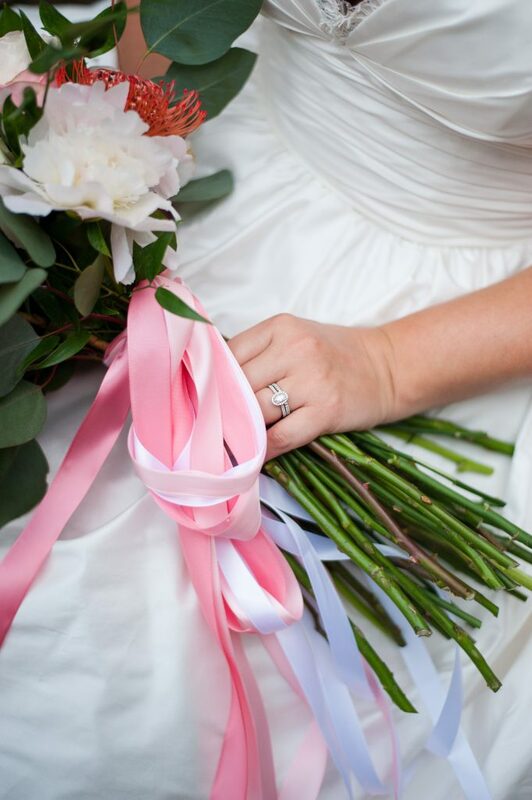 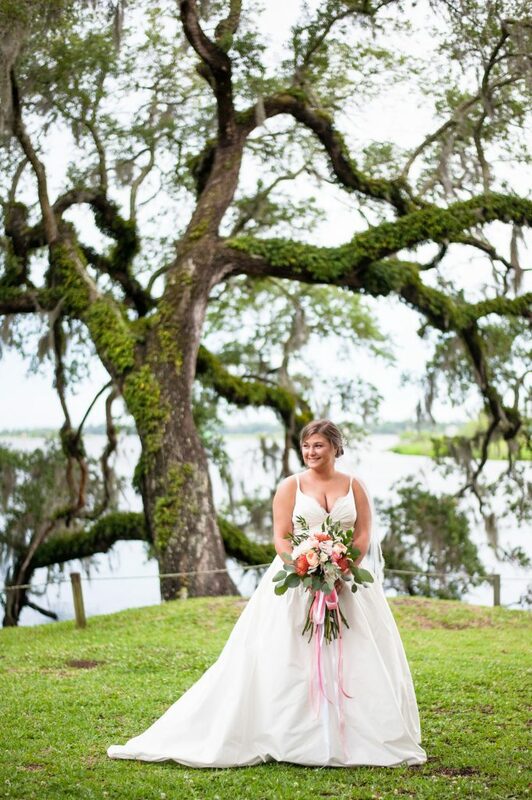 Kayli’s bridal portraits at Mepkin Abbey and the Biggin Church Ruins are some of my favorites. 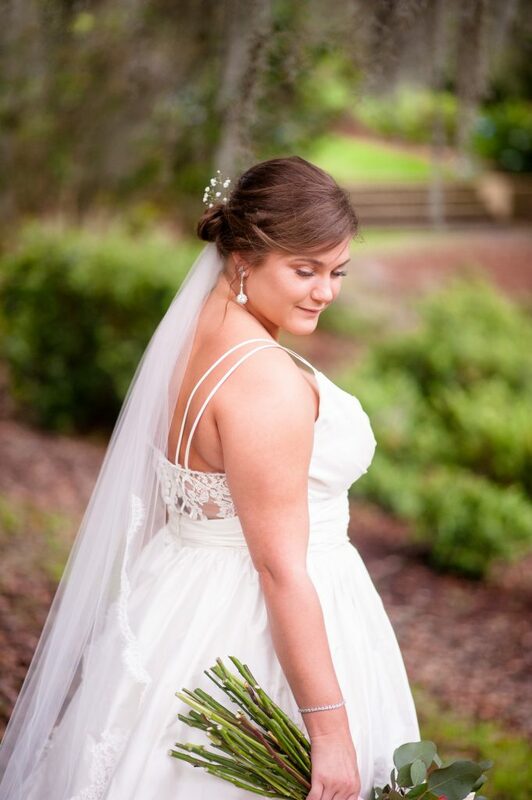 Because of time restraints beforehand, we took bridal portraits after the wedding and it made for a fun, stress free experience. 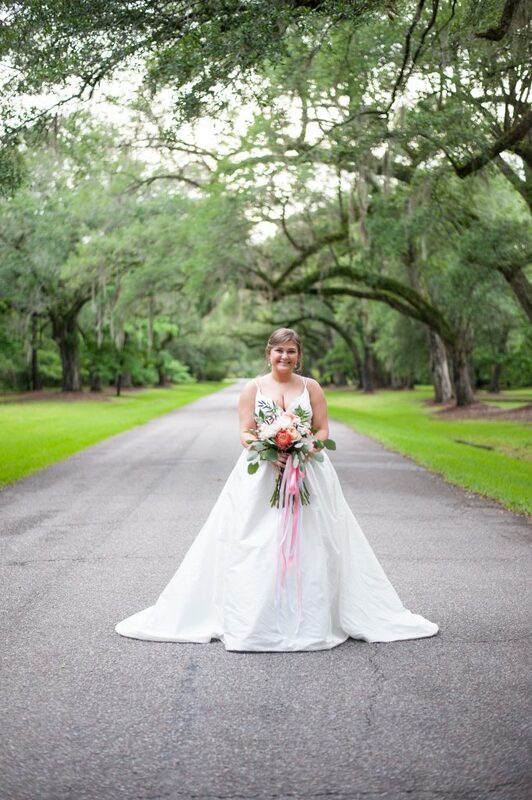 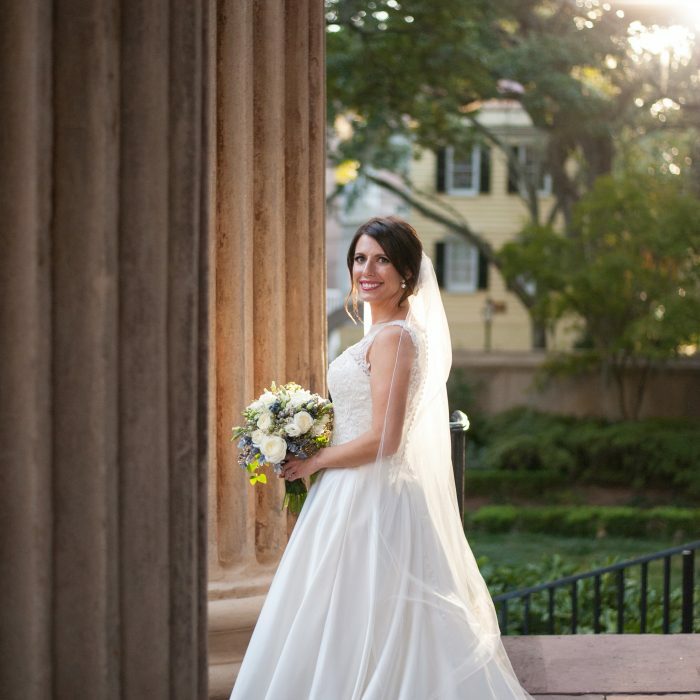 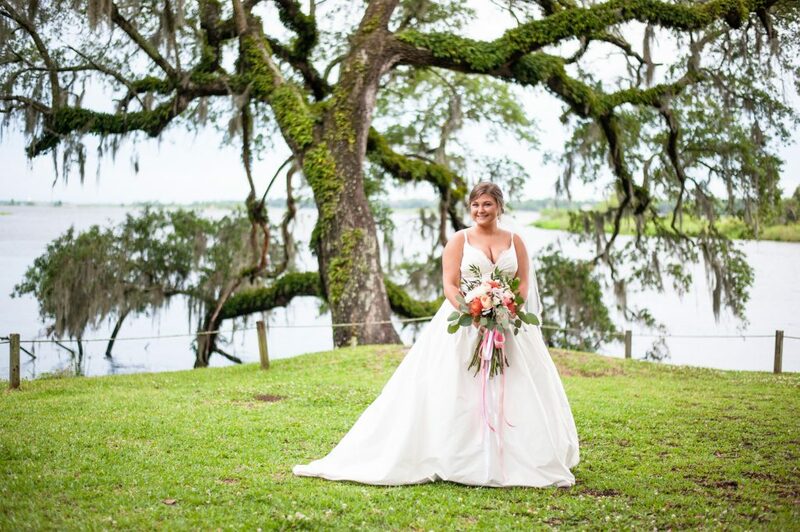 Kayli’s brand new husband was able to join us and she was able to recreate her bridal look and wear her gorgeous Modern Trousseau gown again. 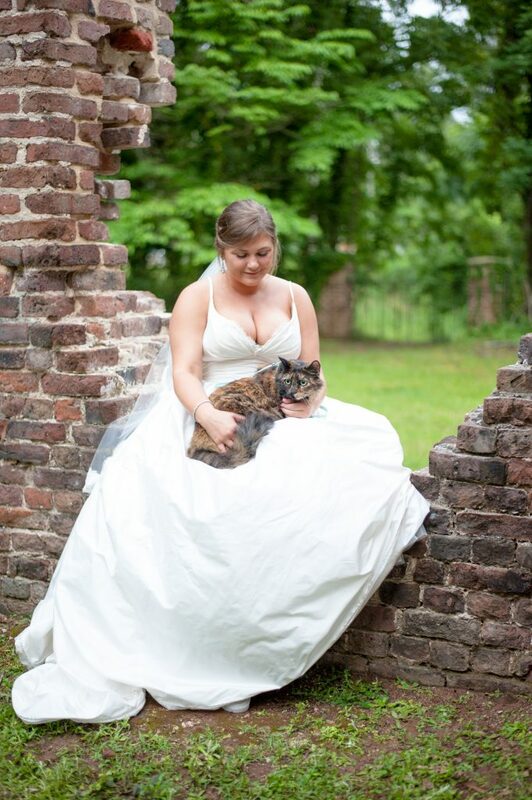 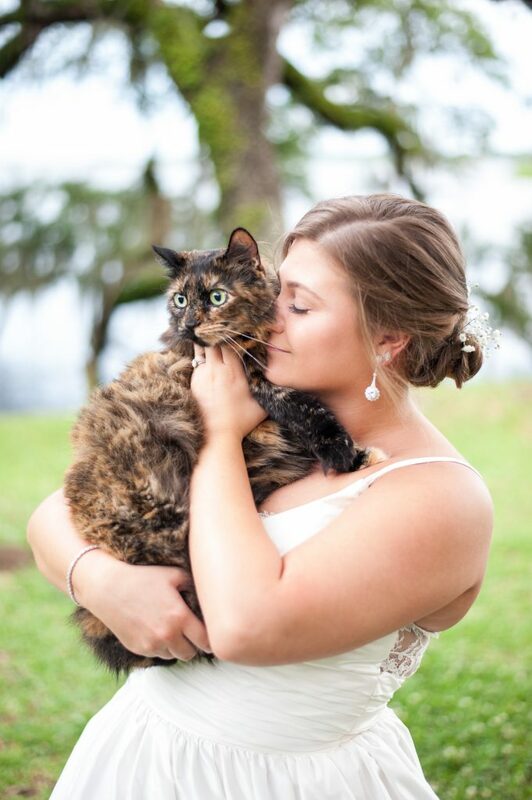 Kayli even brought along her cat, Bumblebee, to share in the spotlight. 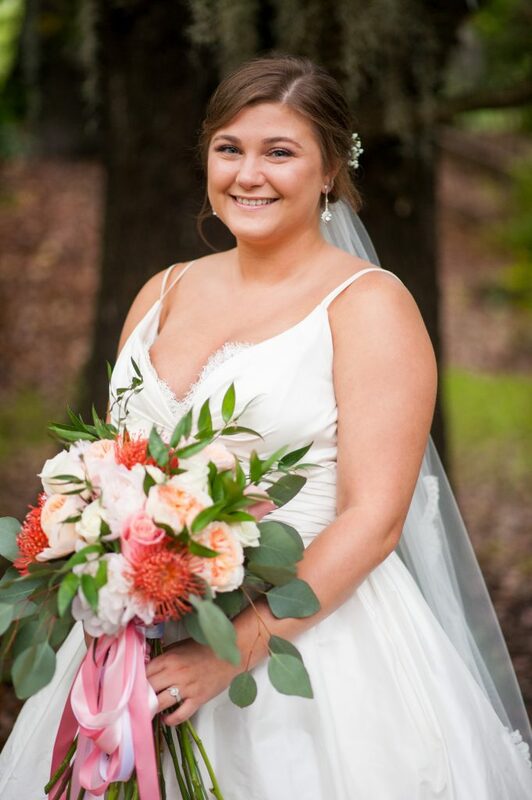 Wether it’s before or after your wedding day, bridal sessions are always a great way to test out or recreate your bridal look, get pictures in a place different from your wedding venue, and wear your gown more than once. 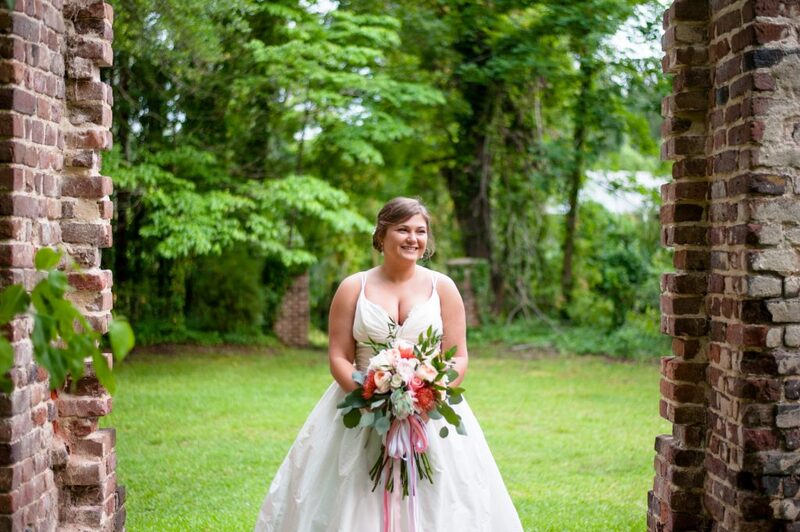 Plus, what a great time! 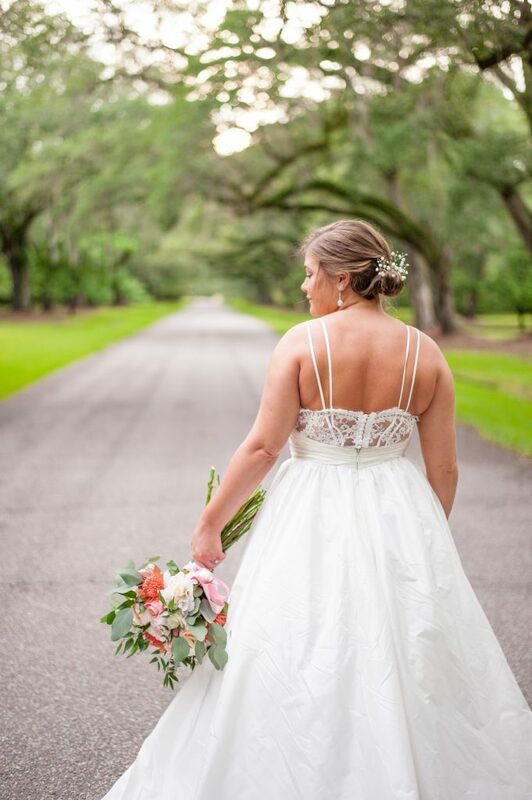 If you’re thinking about scheduling your own bridal session or want to see how you can add one on to your wedding photography package, contact me!